The latest issue of La Panera, one of my favorite Chilean art magazines, features Nemesio Antúnez, one of my favorite Chilean art historical figures. But this post isn’t about art history but rather an unsexy, unsung, yet critical element within this discipline: research. I love research. As an art historian in the twenty-first century, I have an unparalleled amount of sources. Of course, there’s always old faithful: the library. Full of dusty pages, broken spines, crowded reading rooms, and misplaced books. But for this dissertation I’m keeping it mostly digital. When I came to Chile last March I brought the standard two suitcases + one carry-on. And a month later, 10 boxes floated into San Antonio’s harbor. But among that stash, I only brought six dissertation-related books. I would’ve brought less, but those half-dozen haven’t been digitized yet. Everything else has. I’ve got an intense personal archive of material, gathered from the clutch Biblioteca Constel, the classic JSTOR, and thousands of Google searches. But the site getting a big shout-out here (in lieu of my more subdued and formal Acknowledgements page) is Memoria Chilena. So many hours spent on Memoria Chilena. This website has an almost obscene amount of material. A few weeks ago I killed an entire Friday (day, afternoon, night, early Saturday morning) getting lost in their archives of 1970s-80s publications. 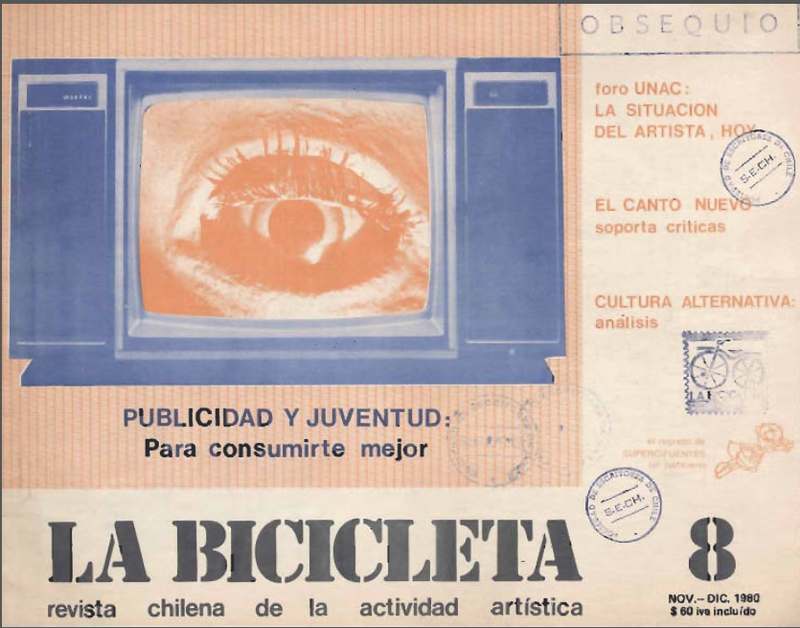 Three issues of the legendary La Bicicleta. 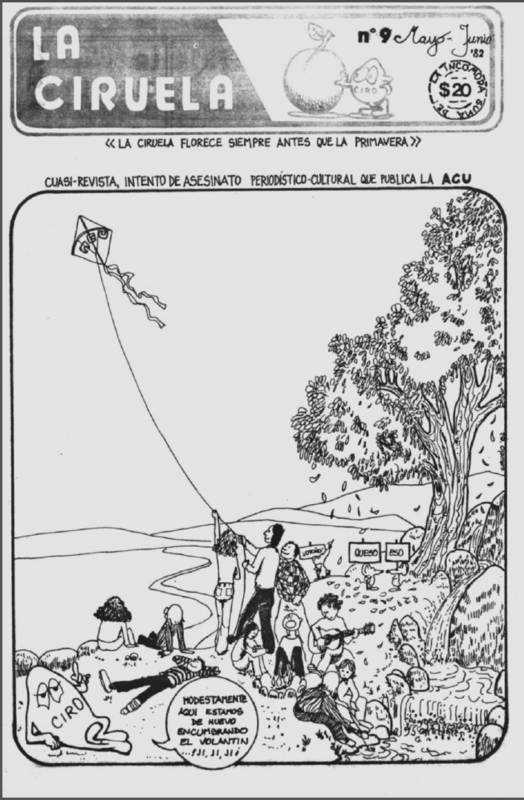 A couple issues of the delightfully random La Ciruela. Rats! I forgot to pack Chile, Arte Actual (1988) one of the most essential publications for a project on dictatorship-era art history. No worries, Memoria Chilena provides. The whole book! Returning to my intro, you can also download Conversaciones con Nemesio Antúnez, a charming collection of anecdotes from the master himself. And while you’re at it, check out La Panera on ISSUU, I always do. When it comes to the debate surrounding the obsolescence of books/magazines as physical objects I don’t see them disappearing all together. I mean, we need to scan something. But as we digitize old material should new material appear in physical form? My go-to response is, “sometimes.” I don’t want a fabulous, Phaidon coffee-table tome of art, architecture, food, etc. in digital form. It’s just too pretty. But Pride and Prejudice? I’d rather have it on my Kindle.